The Edmonton Remand Centre is the largest, most technologically advanced remand facility in Canada replacing the 33-year old remand centre in downtown Edmonton. In 2012, SWS Group supplied dayroom furniture to this 2,000-bed prison. 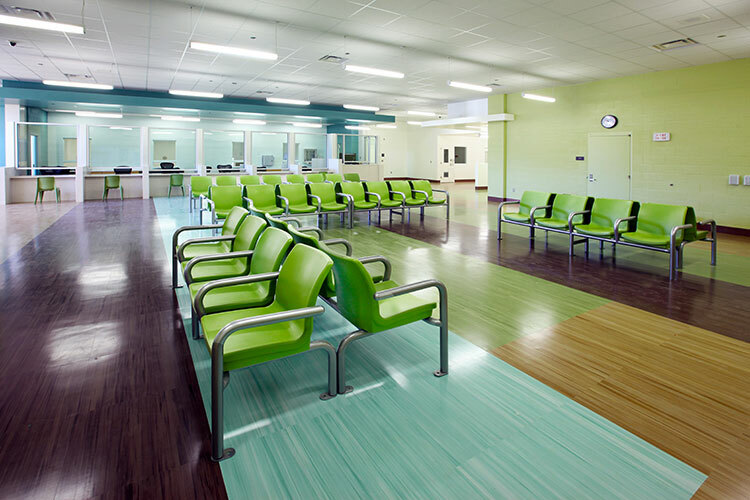 The MAX MASTER SERIES and BOULDER BEAM SEATING occupied the lounge areas, admission and discharge units. Attenda Beds were also installed in their medical/hospital units along with Video Visitation Kioks in their satellite building in downtown Edmonton. The vibrant colors of Norix Furntiure help create a positive and calming ambience. 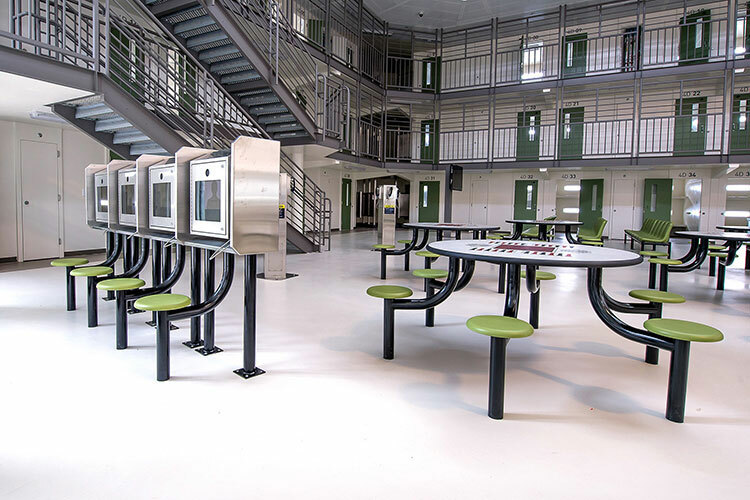 The round and soft edges of Norix Furniture are all intentional to promote safety among inmates and staff.